It’s no secret that American’s produce a lot of waste. Each week, most people sit their trash by the curb to be carried away and buried out of sight, never to be thought of again. This system of trash removal has led to major consequences in our environment, but there’s finally another option. Private waste removal comes with multiple benefits and helping the environment just so happens to be one of them! Private waste removal companies help people make the most out of their trash. This means separating recyclables and compostable items before shipping the trash to the landfill. Of course, people should begin that sorting process on their own, but private waste removal companies are designed to find the pieces that you miss. The additional sorting process greatly reduces the amount of actual trash being sent to landfills and optimizing the recycling processes available to us. The remaining trash is then compacted to reduce the amount of space taken up at the landfill. At the rate that we’re currently overfilling our landfills and running out of room for all of our waste, this compacting is more beneficial than you know. Private waste removal is for anyone and everyone. The customizable process allows contractors and individuals alike to hire waste collection companies, no matter the volume or materials they need removed. Traditional trash removal is uniform and can’t be customized to meet your needs which leaves many individuals and companies without their needs being met. By hiring a private waste removal company you’re supporting a local business rather than a wealthy municipal business. Those who benefit from your business are people just like you. 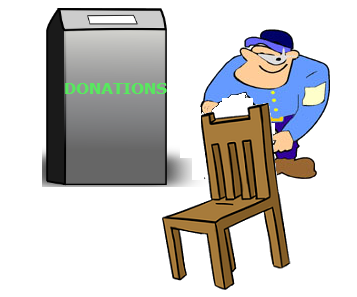 If you have to spend money for waste removal, wouldn’t you rather see it go to a good cause? Local businesses typically offer much better customer service as well because they value and recognize the importance of each and every customer on their roster. You might assume that private waste removal is out of your budget, but that isn’t the case. Private waste removal companies understand that people can’t spend an arm and a leg on waste removal, so their prices are often competitive with traditional waste removal. If you have the ability to be more environmentally friendly and support a local business without breaking the bank, why wouldn’t you? Are you looking for waste removal for your home or business is Salem, Lynn, Peabody, or Beverly? Give Elite Services Junk Removal & Demolition a call today at 978-317-5388. Did you know that only about 64% of paper and cardboard ends up getting recycled? 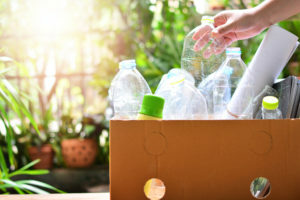 Unfortunately, the U.S. is often behind when it comes to both understanding what can be recycled, and then actually taking the steps to recycle these items. Recycling is important, for more reasons than you might think. Here’s why. Did you know that the average American throws out about eight pounds of trash every day? Recycling common household items can help us re-use our resources rather than continue to overload existing landfills. And if Americans fully recycled all the paper they used each year, 782 million more trees would be saved. The Ocean Conservancy estimates that there’s about 150 million tons of plastic in our oceans right now, with another 8 tons on the way each and every year. It can take decades for plastic to fully break down, and in the meantime, it frequently serves as a choking or environmental hazard. Scientists have noted that plastic often gets broken down into particles that are ingested by fish—that often end up on our plate. Recycling plastic can help cut down on oceanic pollution. Did you know that manufacturing with recycled aluminum requires 95% less energy? Consider the process of retrieving aluminum. First, it has to be mined from the earth—an expensive procedure. Then it has to be treated with chemical processes, etc., to separate the ore from everything else. Only then does it reach the point of being ready for manufacturing. A recycled item, though, is already ready for manufacturing. A single ton of recycled aluminum saves the same amount of energy that the average American home would use in 10 years. As the materials in landfills begin to break down, they release gases into the air. These gases then enter the atmosphere and contribute to climate change. Properly recycling solid waste can help prevent the acceleration of the greenhouse effect that is warming up our planet at an unsustainable rate. As an example: a single office recycling all its paper for a year reduces its carbon footprint by the equivalent of 370 cars. What steps do you plan to take to recycle better in your local community? Contact our team at Elite Junk Removal & Demolition Services today at 978-317-5388. With the end of summer right around the corner, now is the perfect time to do any last-minute purging! And since you’re getting rid of the items you no longer want, you mine as well hold a garage sale and get a little extra money for them instead of just throwing them away. Are you worried no one will buy your things? 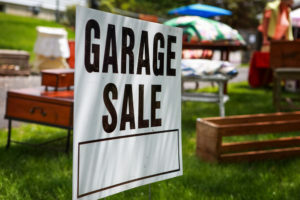 Here are 5 items that are very easy to sell at garage sales. When buying tools brand new, they can be extremely expensive! Tools that are in good condition or part of a set at a yard sale, they tend to sell very quickly since most people avoid buying them at full price. This holds true for power tools as well, but make sure to have an extension cord and an outlet close by so they can be tested by your customers. Remember the last time you watch an infomercial or were at the store and found out about an awesome new small appliance that you just knew would make your life so much easier? After several years and only using the life-changing small appliances a small handful of times, the time has come that it needs a new home. These small appliances will make waves at your next garage sale! Just like how they capture your attention the first time you learned about it, it’ll capture your customers, making it an easy sale. It’s no secret that children LOVE toys and will play with just about anything! Whether parents are looking for new toys to add to their collection (without breaking the bank, of course! ), want to purchase more “vintage” toys, or their child is throwing a fit at a garage sale and they just want to make them happy, toys sell very well. In addition to toys, sports equipment (especially youth sizes) tends to be a hot seller at garage sales since brand new equipment has high retail costs. Have your kids grown out of their hockey equipment? Have a yard sale with all of the items they no longer fit it! Books sell at amazing prices at yard sales, making them a hot spot to pick up a new read for any age. Have a full series or a book that’s a collectible? Book lovers are happy to pay the extra cost! Many people don’t think about selling clothing at a garage sale – they typically bring it to a consignment shop or donate it. If you no longer fit in or wear certain pieces and they’re still in great condition, selling them at your garage sale will avoid any fees being kept by the consignment shop! Shoes, accessories, and jewelry also tend to do very well at garage sales. For all of the items you can’t sell at your next garage sale, give Elite Services Junk Removal and Demolition a call today at (978) 317-5388 to schedule your junk removal appointment! The average individual produces an average of 5 pounds of waste a day and most of that waste is in fact recyclable. If every person across the United States was more conscious of the proper ways to dispose of these items, garbage wouldn’t be as big as a problem as it currently is. Recycling not only saves space in our landfills but also reduces greenhouse gas emissions. Another positive of recycling – less resources are used recycling an item into something usable compared to the resources used to dispose of trash at a landfill. The materials that batteries are made up of contribute to pollution when they aren’t disposed of through the proper channels, especially when they break down in landfills. Most libraries, battery or electronics stores, and even your local grocery store will take your household batteries and ensure they will be recycled properly. Stop throwing your books away! If you no longer want a stack of books in your house, bring them to your local library, donate them in a book drop box, or take them apart and recycle them through your towns recycling center. Like batteries, many ink cartridges are made up of toxic materials that shouldn’t be sitting at landfills. Most business supply stores (Staples, Office Depot, Best Buy) will have bins inside of their store to drop your old ink cartridges for recycling and oftentimes, they’ll give you a discount on your ink purchase when you recycle your old cartridges! As many homeowners are switching their compact fluorescent lamp (CFL) bulbs out for more efficient options, such as LED light bulbs, many CFL bulbs are not being disposed of correctly. CFL’s actually contain a small amount of mercury which means they can’t be thrown out in your trash or in your curbside recycling. Instead, they need to be recycled through a hazardous waste facility. Not sure where one is? You can drop your CFL bulbs off at Lowe’s or Home Depot and they’ll dispose of them for you! Have you recently updated your eyeglasses to a new pair? Instead of throwing yours away, donate them! There are so many individuals that cannot afford a pair of eyeglasses so they depend on people like you! Drop them off at a local eye doctor or glasses place – if they don’t take them, they’ll be able to point you in the right direction. If your glasses are broken to the point of no repair, treat them as you would any other plastic item and recycle them just like you would a plastic bottle. Replacing your broken or outdated appliances with new ones? Recycling your old ones can be a drag, but it’s worth it. There are three ways you can go about this – sell them, donate them, or recycle them. Don’t want to deal with the recycling process? 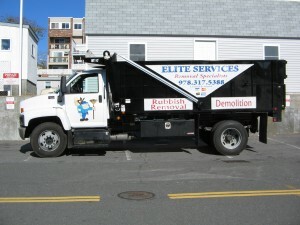 Give Elite Junk Removal & Demolition a call today at 978-317-5388. We won’t just ensure your items are recycled through the proper channels, but will also remove any other junk you need gone! Just like everything else in your home, your refrigerator has a lifespan. As an appliance that is frequently used and always running, they get old and run down over the years. Purchasing a new fridge and bringing it home is the easy (and most expensive) part, but getting rid of the old one can be a challenge. Here are a few ways to get rid of your refrigerator easily. If your fridge is still in working condition but you decided to upgrade to a new model, sell the old one! This way, you’ll be able to get a little extra money that can be put toward your new appliance or carting it off, the new buyer can be responsible for that. If you’re having a hard time finding someone to purchase your fridge, put an ad out in the local classifieds and post it to Craigslist and Facebook. If your fridge is still usable but don’t want to deal with selling it, try donating it to a local charity. If they’re not in the market for a fridge or know anyone that would be, seek out various non-profits, shelters, and missions in the area. Not sure where to get started? Put some feelers out with your neighbors, friends, and family to push you in the right direction. If your fridge isn’t working at all, recycle it! Elite Services Junk Removal & Demolition will not only come to your house and remove it from the premises but will also ensure that it is recycled through the correct channels. To schedule your appliance removal appointment, give Elite Junk a call today at 978-317-5388. After living in your home for a long time, you become so comfortable that you start to fall out of love with it. We get it- little things start to drive you nuts and all you want to do is pack up your things and move to a new place and start over. Keep in mind that this will most likely happen over and over again, no matter where you’re living. Instead of packing up and moving, try making these changes to help you fall in love with your home all over again. Warm and cozy tones will make your house feel more like a home. If you updated your paint in over 10 years, now is the perfect time to do so! Choose from cozy greys or tans and compliment your new wall color with some new pillows on your couch! Both of these updates won’t drain your bank account and will drastically improve the look and feel of the room. Have a bunch of windows throughout your home but always have the curtains closed or the shades down? Open them up! Bright indoor lighting is harsh whereas natural light brings in a new form of happiness. If you need to utilize lamps in your home, opt for bulbs that are 2,700 Kelvin or less to avoid the harsh bright light. New furniture instantly changes a space but it’s not always in the cards. Instead, opt for rearranging the furniture in the specific room and even switch out some of the pieces from other rooms in your house to freshen it up a bit more. This will give the room a new look and feel, as well as keep visitors on their toes! Clutter in the home can be a drag. Go through each room in your house, organize all of your belongings, and get rid of everything you no longer need or use. Elite Junk Removal will come and pick up any of the things you no longer want and will ensure they are disposed of through the proper channels. Schedule your appointment today! Give us a call at (978) 317-5388. 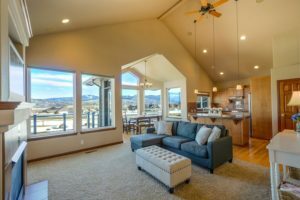 Clearing the junk out of your basement or attic after it’s sat there for years or cleaning up debris after a demolition is a tedious task, but is necessary for making your home the clean place you are itching for it to be. While doing the junk and debris clean up yourself is possible, hiring a junk removal company will save you a lot of time, sore muscles, and frustration. After junk and debris have been sitting around in your home or business for years, it will take a lot of time and effort to clean it up and dispose of it correctly. The typical timeline for a project like this is a day or two to complete. By hiring a junk removal company to clean up and dispose of these items for you, not only will they be disposed of correctly, but they will complete the project in a shorter period of time since it’s what they are trained to do. This will leave you with more time to focus on the things that are more important. Depending on the nature of the items that you are demoing and removing from your home, they can be hazardous, which means they will need to be disposed of in a specific way. Without the proper training and experience dealing with these materials, you put yourself and those around you in danger, should something happen. Our team at Elite Services Junk Removal & Demolition is trained to handle these materials and will dispose of them through the proper channels. Piling all of your junk into the back of your car and dropping it off at the local landfill and recycling center doesn’t constitute as disposing of it properly. When you utilize a junk removal company to get rid of your junk, not only will they ensure that all of your items are disposed of through the proper channels, but they will also make sure that the right items are recycled and repurposed. Going this route will also eliminate the extra costs of dumping larger items, including furniture, at the local recycling center. Our team at Elite Services Junk Removal & Demolition provides reliable and efficient junk removal and demolition services so that you can cross one last thing off of your list of to-dos. Our team will stay out of your way and allow you to focus on the other important aspects of your daily life. 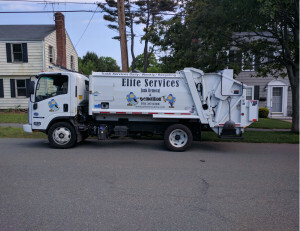 To schedule your junk removal or demolition project with Elite Services, give us a call today at 978-317-5388. 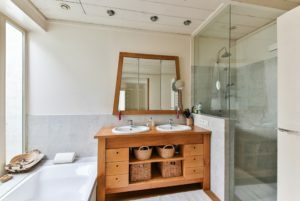 From towels and dirty laundry to beauty products and cleaning supplies, the bathroom is a small space that is bound to get cluttered with stuff very quickly. Instead of worrying about what state your bathroom is in when guests stop by or having to move things around just to grab a bottle of Asprin, use these tips to get your bathroom declutter fast. Throw away old bottles. We’re all guilty of leaving empty shampoo, conditioner, and body wash bottles in our shower and in cabinets for long periods of time. The problem with this is that they’re taking up valuable space for more items that are full and utilized every day. Not to mention, it just looks sloppy. If you only have a minute or two to pick up, start with throwing away your empty bottles. If you have bottles that are full but you don’t utilize them, give them to a friend or donate them to a local shelter! Remove old towels and rags. Old towels and rags tend to pile up, even if they’re not being used. Who knows – there could be a spill or an emergency where you need more towels to clean up. Instead of letting them pile up in the closet, cut them up into smaller pieces to utilize for household chores. Stick the rest in the basement for home improvement projects in the future. Recycle/Reused Unused Items. Do you have things in your bathroom that no longer work or you no longer use? From old razors and broken hair dryers to broken radios, these items can all be recycled to free up space. Have you recently decluttered your bathroom and need your stuff disposed of through the correct channels? Give Elite Services Junk Removal & Demolition a call today at 978-317-5388 to schedule your junk removal appointment. Although there are laws in place to ensure proper disposal of electronic waste, appliances, and other electronic devices still pile up in landfills all across the United States each year. All appliances and electronic devices are recyclable as long as they’re disposed of through the proper channels. Next time you replace your dishwasher, washing machine and/or dryer, or even your refrigerator, consider recycling the appliance you are replacing before carting it off to the local landfill. What are the benefits of recycling appliances? Cooling appliances, such as air conditioners, rely on the cooling agent Freon to work properly. When these appliances are disposed of, the Freon isn’t properly disposed of and can potentially leak into the atmosphere and damage the ozone layer. When these appliances are recycled, Freon and other chemicals are disposed of properly removing the hazard of damaging the atmosphere. Most appliances and electronic devices are made of a substantial amount of steel, aluminum, and other metals that can be reused in the future. This eliminates the need to stress the environment to create new materials. 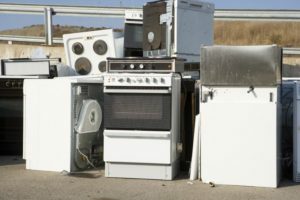 If you chose to dispose of old appliances at your local landfill, you will have to pay a disposal fee whereas if you were to recycle old appliances, you won’t have to pay a disposal fee and might even make a little money depending on the condition of the steel, aluminum, and metal of your appliance. When appliances are disposed of in the correct way, the metals will decompose and penetrate the soil, leading to lead and iron contaminating groundwater. 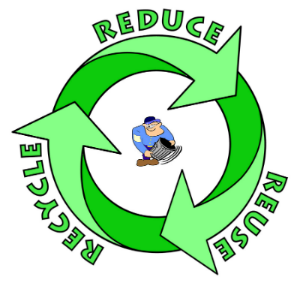 To ensure your appliances are recycled properly, call Elite Junk Removal at 978-317-5388! Have you finally made the decision to start the home renovation project you’ve been putting off for months, if not years. Now comes the decision to do the demolition yourself or hire someone and whether or not a dumpster is worthwhile. Instead of being stressed and overwhelmed with your project, let Elite Services Junk Removal & Demolition to help so you can focus on the fun parts – designing your new space. When deciding between hiring a junk removal company, renting a dumpster, or utilizing a dumpster bag, it’s important to keep the cost and your budget in mind. Junk removal services will be more affordable versus a renting a dumpster. With a dumpster, you have to take into consideration the 7-day window between drop off and pick up. 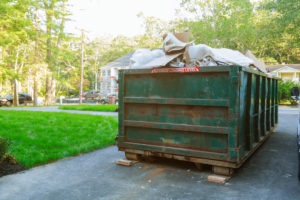 With the dumpster sitting on either your grass or driveway during this period, there is also the potential to cause damage which can be very expensive to repair. Your time is valuable, don’t waste it trying to save a few dollars by doing demolition and junk removal yourself. By hiring our team, most projects will be completed within a day leaving you more time to focus on your own responsibilities. There are several restrictions for what can and cannot be disposed of in a dumpster, including various hazardous waste items that can be a pain for you to dispose of. Some of these items include liquids, appliances, waste, drums, and light bulbs. With a junk removal team, we’ll be able to sort through all of these items and dispose of them through the proper channels. Dumpsters bring along their own safety hazards, especially when there are children around, and can be a huge pain to deal with. Oftentimes, dumpsters are loaded with grease to ensure they can open and close with ease which can turn into fall hazard. In addition to fall hazards, dumpsters can be a breeding ground for bacteria, bugs, and even rodents depending on what you are disposing of. By hiring Elite Services Junk Removal & Demolition for your next project, you eliminate hazards and damage. Call us today at (978) 317-5388.